With “Killing”, Tsukamoto returns to the question of the meaning of death and the question of the true value of life. While in “Fires on the Plain”, Tsukamoto’s previous narrative, he approached these questions in a more macroscopic and indirect fashion, “Killing” is set to provide a more subjective perspective on these questions. Even though Mokunoshin Tsuzuki (Sousuke Ikematsu), one of the many wandering ronin the long-lasting peace in the 19th century created, is on his way to Edo to prove his worth, he finds himself aiding a local farming community in return for food and lodging. Besides slogging in rice paddies, Mokunoshin maintains his swordsmanship skills, by regularly sparring with Ichisuke (Ryusei Maeda), the son of the family who lodges him. While Yu (Yu Aoi), Ichisuke’s sister, silently condemns the sparring and the influence it has on her brother, she also harbors the unspoken wish to see Mokunoshin, who she feels attracted to, settling in the farming community for good. That wish is shattered, when Jirozaemon Sawamura (Shinya Tsukamoto), a ronin who is putting a warrior squad together to serve the shogun and to maintain peace, invites Mokunoshin and Ichisuke to join his noble goal. And then, the peace of the community is disturbed by a gang of ronin outlaws led by Sezaemon Genda. In the narrative of “Killing”, there are two fundamental cycles to be distinguished: the cycle of violence, as symbolized by the samurai sword – the soul of the samurai – and Jirozaemon, and the cycle of life and nature. The cycle of life and nature forms nothing other than the frame of the narrative, acting as an enduring pacifistic background upon which the swishing and clashing of cold steel comes to be painted. While setting the narrative during the rice-harvesting season delineates the cycle of life as narrative frame, the cycle of life is further emphasized by elements like ladybugs and masturbation. Even Mokunoshin’s sparring with Ishisuke should be read as an expression of life. While Mokunoshin has inserted himself into the existence of peace and balance guided by the cycle of nature – a balance he aims to maintain, Jirozaemon introduces, by trying to quell the source of the farmers’ unrest (i.e. the Ronin outlaws), the cycle of violence that ultimately has no other product than destruction and death. Contrary to Jirozaemon, who has no second thoughts about unsheathing his sword, Mokunoshin’s mental confrontation with the destructive power – the trauma of invoking death – as he grasps the tsuka of his sword, leaves him impotent with his sword. It is in the moving confrontation between these two vastly different characters – Jirozaemon as formalized by the samurai code and Mokunoshin as embedded in the cycle of nature – that the narrative shows that these cycles have no parallel relationship in relation to each other. Furthermore, as both clash, the question rises if Mokunoshin’s impotence to kill – an impotence not present at the level of the word, is truly such a bad thing. 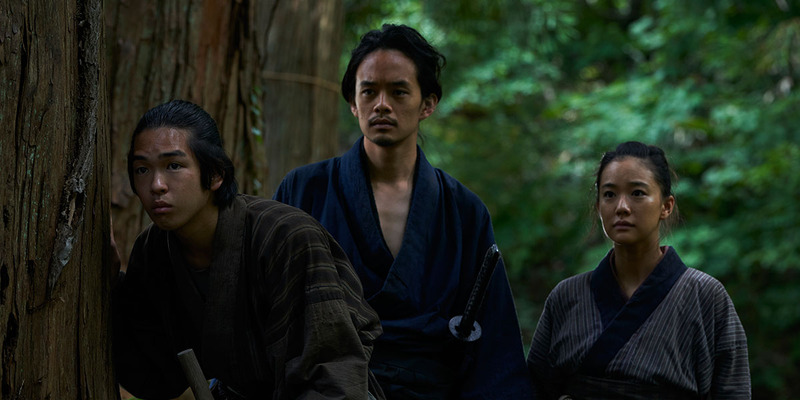 While the entire narrative of “Killing” is framed in a rough and shaky handheld way – mixing moving shots and trembling semi-fixed shots, Tsukamoto reveals skill and talent in the subtle way by which he brings Mokunoshin’s subjectivity to the fore. This is subtly evident in the way violence is framed. 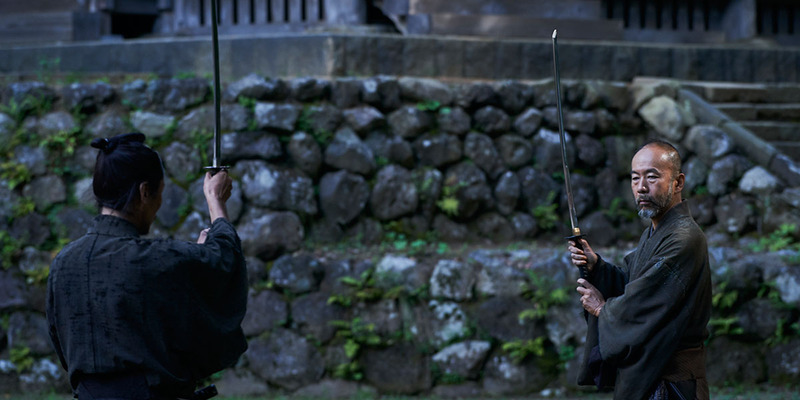 In these sequences, the focus is not so much on the sword fighting as such, but on Mokunoshin as he handles his weapon. Other cinematographical techniques, like cross-fades and so on, further aid in stressing the mental dilemma that Mokunoshin is suffering from. Tsukamoto also utilizes the shakiness of the frame in two different ways to communicate Mokunoshin’s subjectivity. In the first way, shakiness highlights the stressful aspect of handling of a sword. As this use is often combined with the sounds of Mokunoshin’s breathing, this shakiness acts as the most direct subjective index. When shakiness iσ combined with moving shots, the attained dynamism, acting as a more indirect subjective index, frames the chaotic nature and the impact of violence as related to Mokunoshin’s presence. Both uses intermingle to great effect in one later rather disorienting action-composition. One should read in this way of framing action a downright refusal to show the ritualistic beauty of fighting so commonly found in samurai movies. Having said that, there is still one instance in “Killing” wηere such kind of beauty is seemingly framed. While this framing, that consists of a mixture of semi-fixed and slow-moving shots, highlights the tension that precedes the duel, the true purpose of this framing is, once again, to emphasize the impact of seeing the truth of the sword on Mokunoshin. The presence of the two cycles, as mentioned above, are most sensible at the level of the exquisite sound-design. The narrative space of “Killing” is full of sounds associated with life – emphasizing life and nature as the fundamental frame of the narrative. The sounds of cold steel, however, ever suspend the sounds of balance – the balance as has been found between farmer and nature. The sound-design, in other words, underlines the fundamental incompatibility of the two cycles. The use of music, for that matter, is applied to highlight and empower the subjectivity of Mokunoshin. Yu Aoi’s performance as Yu is downright amazing – and might even be one of the best performances from her till date. With subtlety and naturalness, she brings the different emotional layers of her character sensible and powerful to the fore, e.g. the complex mixture between attraction and dislike that Yu has for Mokunoshin. “Killing”is an utter delight from start to end. With its masterful cinematographical blend and its effective musical accompaniment, Tsukamoto is able to bring Mokunoshin’s subjective dilemma poignantly to the fore – a subjective dilemma that shows that, while the cycle of life never stops, the cycle of human violence, as unbroken, destroys societal structures and the subjectivity of many – not in the least the subjectivity of the one wielding the sword. 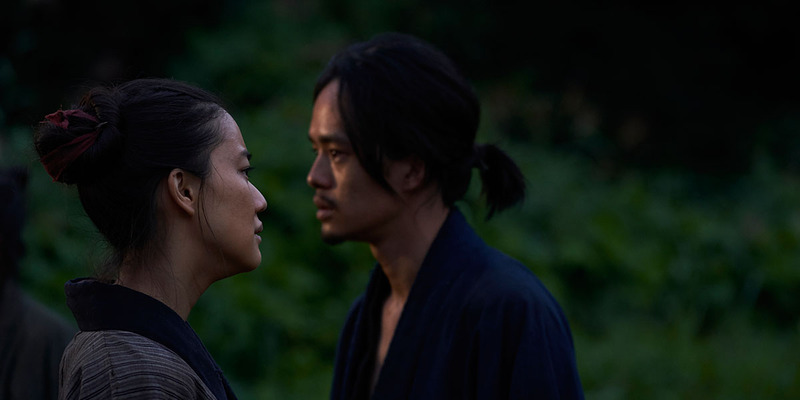 And while those expecting a traditional samurai narrative might be disappointed, those that realize Tsukamoto’s accomplishment – to infuse jidai-geki once again with societal criticism – will be delighted to be find one of his most accomplished narratives.